The Concrete Washout System recovers aggregate material from ready-mix trucks and prevents wasteful material disposal. Our system will help you eliminate truck washdown time, end-of-shift overtime hours, and costly trips to disposal sites. 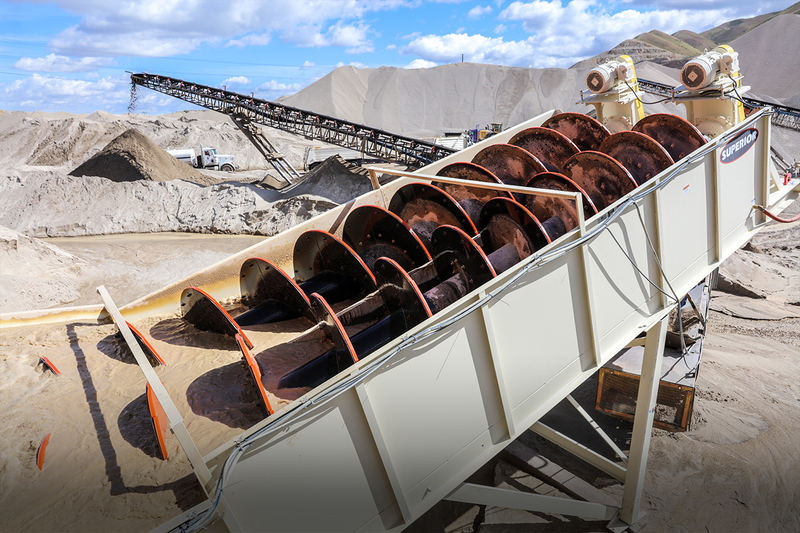 We’ve included a unique receiving hopper design that allows two ready-mix trucks to discharge at the same time. You can choose from two standard system options—1.25 yards per minute or 2.5 yards per minute. 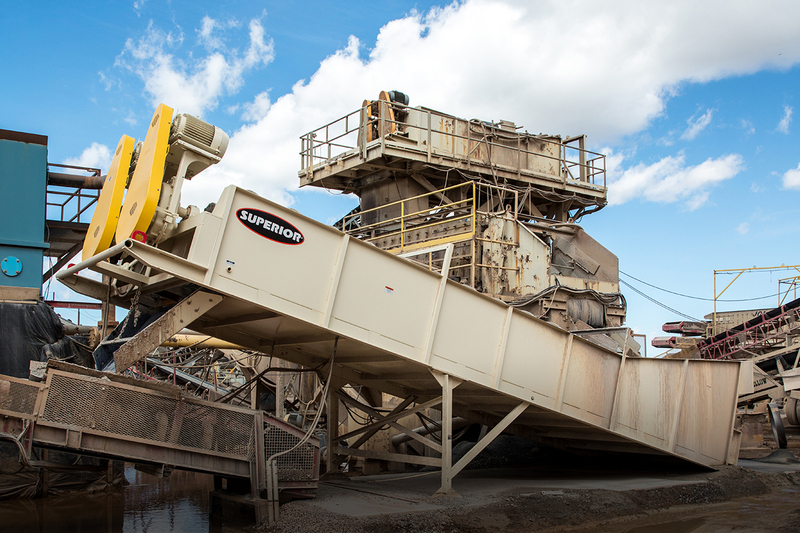 The Concrete Washout System’s receiving hopper allows two ready-mix trucks to discharge at one time. This unique design enhances process efficiency and saves you time. The hopper is also equipped with a spray system for fast, easy clean up. The Fine Material Washer is a multipurpose machine that washes, classifies, and dewaters aggregate material. We offer the industry’s largest range of sizes in fine material washers, allowing us to meet your project’s unique requirements. You can choose the size that matches your needs from models with either single or double screws. Our Fine Material Washer, which can process material up to 1100 tons per hour, is equipped with the market’s only dewatering screw capable of handling material as large as ¾ inch. As a private company, owned by employees and community members, we put our customers first. To drive this home to our employees, customer service (or Customer WOW! as we refer to it internally) is communicated as one of the three pillars of our company. It means every employee — no matter their position — is considered a customer service agent. Ensuring this pillar is strong is how we measure the strength of our business. Dial +1 (320) 589-7485 for a product support agent. Using Superior’s Aggre-Saver Washout System, Franklin, Wisconsin-based Schmitz Ready Mix recovers up to 80% of the leftover material in their trucks for salable use in other applications.